* Aluminum does not rust. There is no sticking, no fussing, no maintenance with the leg extensions. The leg extensions are manually adjusted (this is far more effective than spring-type adjustments which stick and breakdown and involve constant maintenance to sand and smooth the rust). * Before a steel-frame stool is even shipped, it is rusting inside. 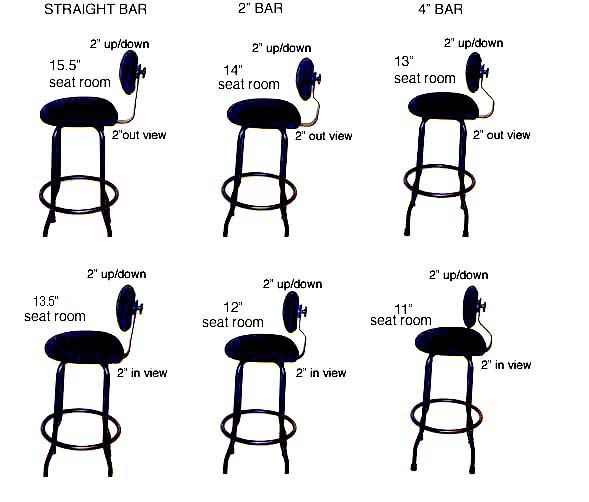 In normal usage, a musician’s chair or stool is subjected to many changes in temperature (taking the stools on the road, indoors/outdoors, storage/onstage). This increases the rate of rusting and the gradual breakdown of the chair. Longevity of the product is affected. * The leg extensions are solid aluminum, no rust, no sticking, no fuss. * The leg extensions have threaded holes at 1″ increments, easily tightened, no wobble, maximum stability and comfort. * back supports must be removed before stacking. * The back upright bar and attached cushion support is separate from the frame (knob under the seat). This means that the individual musician can choose the back support with degree of back bend for maximum benefit to their personal style of sitting for performance. View ‘gig’ basso molto back types for extra support. * The seats are known for comfort, firm but not hard as a board. Can be used for long periods of time.